I have changed a lot about my habits in the last 15 years. There is a lot that has resurfaced from the years of being a young, naïve tomboy in middle school (competition and weight lifting in particular). And there is a lot I have had to release over the years. Here are seven things about me that have significantly altered my physical energy, my spiritual strength and my overall positive outlook on life. As I was writing this, I realized I could have made a list of 20 things! I’m sure you’ll hear more in the future. O rly? What I have found is that when I start my day with a high protein breakfast, one balanced with complex carbs and some fat, I have considerable energy throughout the day. When I eat oatmeal, cereal or breakfast potatoes I find that I am sluggish, hungry quicker and have a hard time firing on all cylinders at work. It is because even your “steel cut oats” are still oats. They spike your blood sugar and they do not keep you full. What does this breakfast look like? 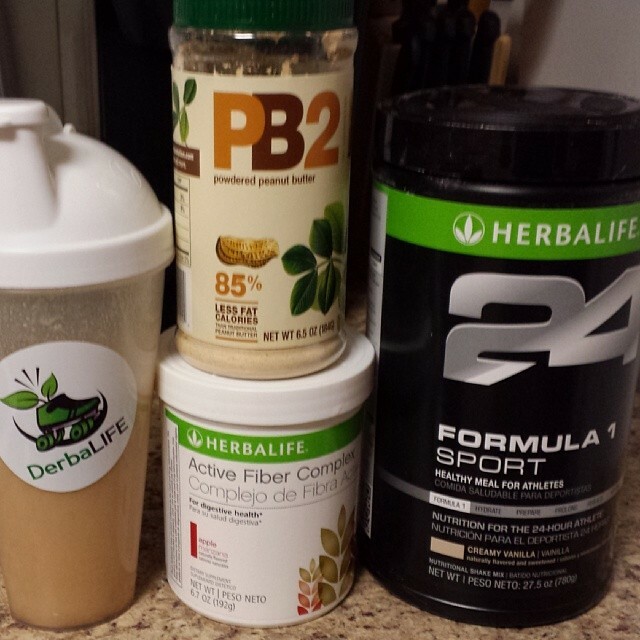 Ideally it is an Herbalife breakfast shake – recently it’s been 2 scoops of Formula 1 Sport, ½ cup of pasteurized egg whites and maybe some PB2 for fun. If I know I’m running around a lot during the day, I’ll save the shake for later and I’ll start out with 2 eggs, a 1/3 cup of pasteurized egg whites, sautéed spinach, onion, broccoli and tomato. Yes, for as much as I try and live in the comfiest clothes possible, I have found that if I wake up and toddle around in my PJs for too long, I become lethargic and my to do list stays as long as it was the night before. By staying in the mode of sleep wear, I have given my body permission to remain in sleep mode. No more permission granted! Get up, get dressed, have breakfast, wash your face, do stuff. 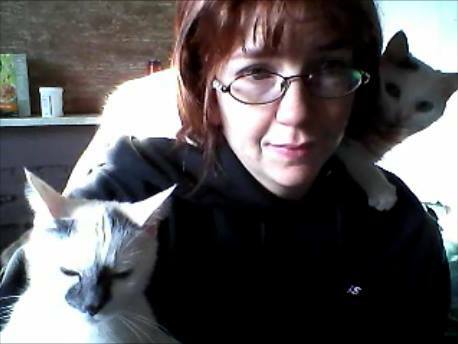 If I don’t get up and get moving, this happens. Then I really feel stuck. More and more people are catching on that bananas are not the super fruit we once thought. High in sugar and low in protein, these little bombs of energy are fantastic for before a workout, but are a culprit in keeping you hungry and padded when eaten before a long day at the office. And while good for potassium and fiber, there are 6 electrolytes total that effect cramping. If you are chowing down on bananas Charlie horses go away, you very much need to take a look at the rest of your diet. My dehydration migraines have stopped now that I incorporate all the electrolytes into my diet, along with drinking at least half my body weight in ounces of water each day. 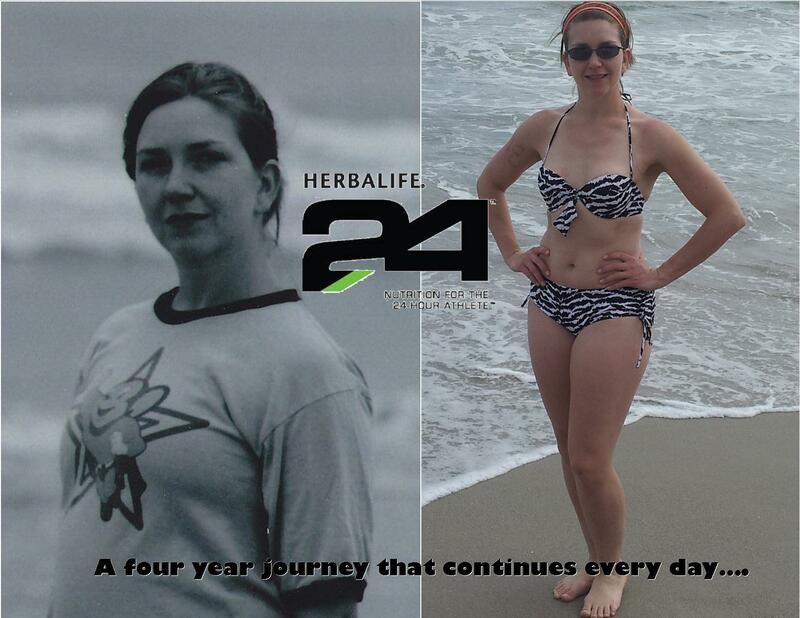 The 24 Hydrate by Herbalife has been a lifesaver. 4) I eat until bed time. Yup. Your body doesn’t actually care what time it is. By saying “I’m not going to eat after 7p” and then staying up until 11p, all you have done is slowed your metabolism and hurt your recovery – especially the athletes in the crowd. If you do a workout that finishes at 11p, then you need to eat afterwards. It’s one of the strongest changes I’ve made. That being said, keep away from the simple carbs within four hours of bed time since your body won’t be able to burn them off before bed. 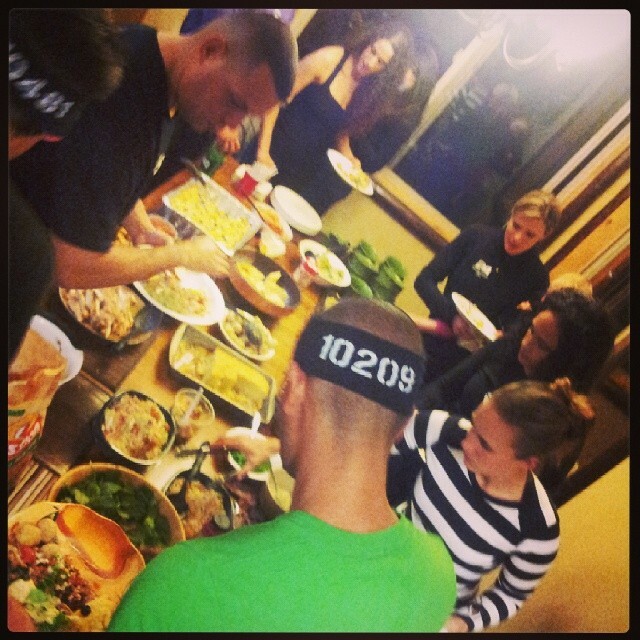 These athletes at Big Bear know that we need to eat until sleep! 5) I rarely step on a scale, and I only do measurements every 60 days. It’s ok to not know where your body is moment to moment. I know that I am much happier feeling healthy and strong and not being concerned if I weigh 138 or 144. Do my pants fit? Do I feel strong during practice? Am I faster than other people? Did my squat max go up? These are the questions I hit myself with. It is good to track your metrics so that you know what your progress looks like and you can re-evaluate every 90 days, but our body fluctuates too much day to day to use a daily weigh in as a gauge. I have seen friends drive themselves crazy over this. It causes stress, which then feeds right into keeping the weight on. It’s a cycle. Don’t feed into it. 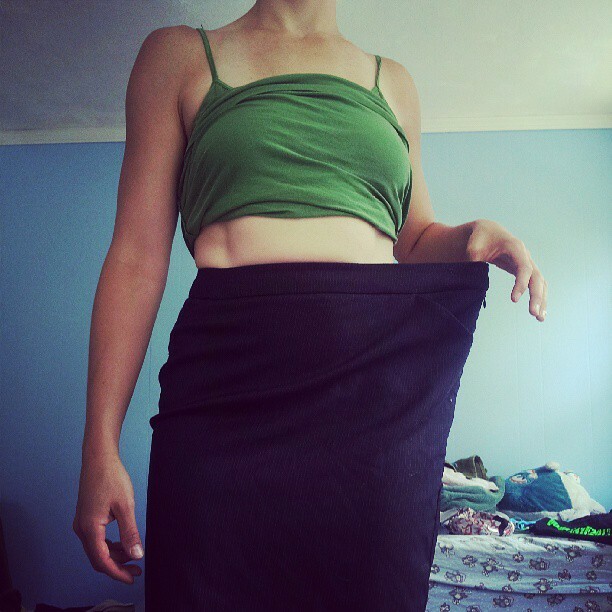 There was a time where this high-waist pencil skirt was too tight on me. 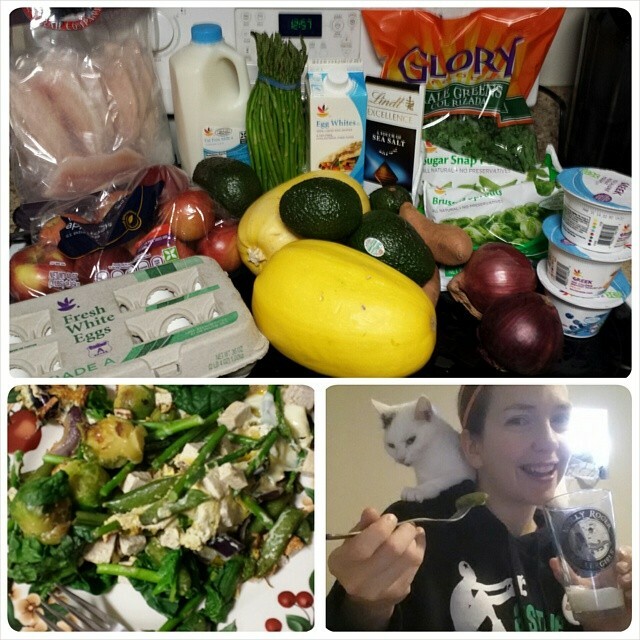 6) I realized that I eat mostly the same things every day, so I may as well make them healthy. If you can recognize that you’re really not as chefy as you like to think you are, you can tighten down easier on a schedule of healthy eating that is nourishing, promotes your goals and saves you money (now that I know what I want at the grocery store, there is no need to randomly pick up ingredients “Just in case”). Also, shakes for meals are not nearly as scary as I thought when I first heard about them. Mostly because my shakes don’t come out of a metal can, I’m full afterwards and they taste RIDICULOUS. Also, when you’re eating 5 – 9 times a day (like athletes should), it’s a whole lot easier to scoops, shake, drink than it is to make 8 individual meals. One of my favorite shakes right now! 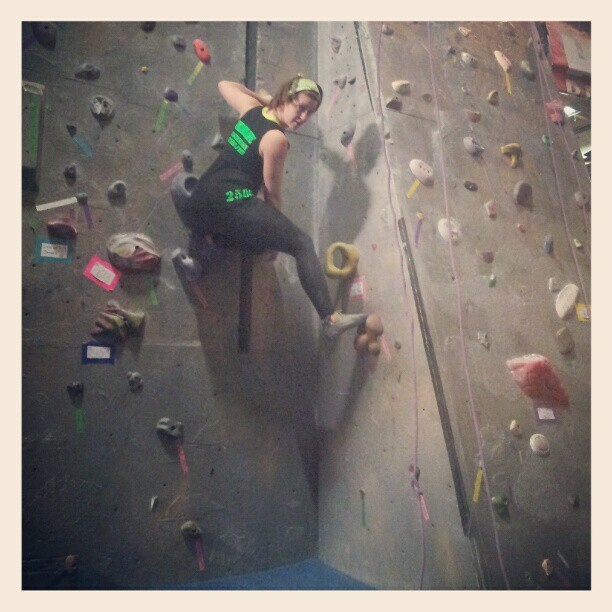 7) I include workouts that are mental exercises. Yoga and running are most specifically what I have worked on, though rock climbing and speed skating are another set of mental challenges. Your body will do amazing things, if you just ask it to. Conquering workouts that we hate means that we must overcome our self-doubt, our mind’s will to sabotage and we must release all of the excuses we have made in the past. 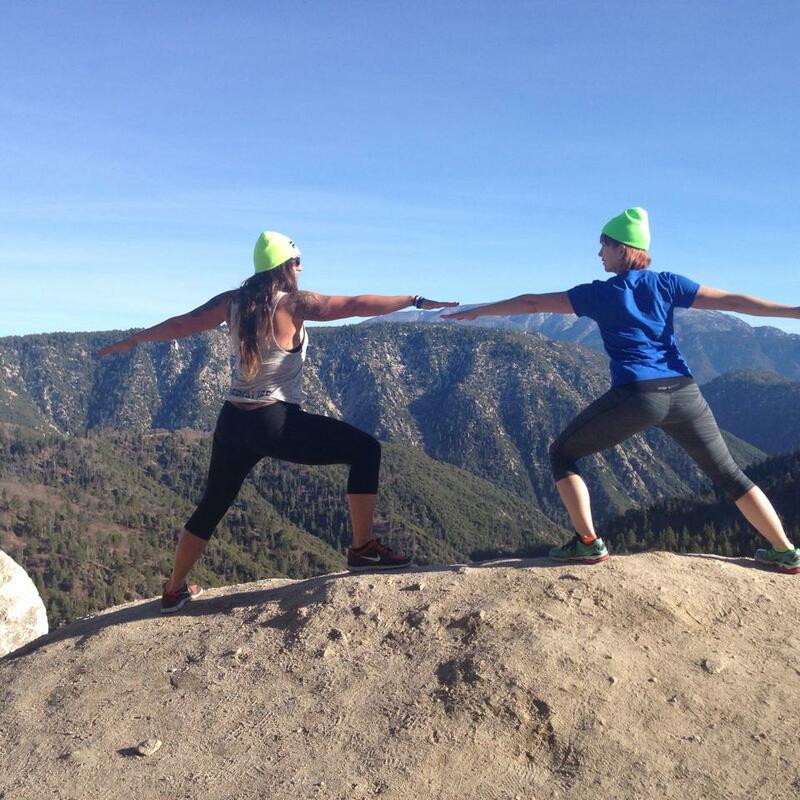 Yoga, running, climbing, speed skating, cross-country skiing… there is quiet control and a zen-like state that must be achieved for success. You must connect to your breathe, to your soul, to the Universe’s will around you. Warrior 2 on the edge of a cliff on the way to Big Bear. Pro Tips: Set an intention at the beginning of the session. “Focus”, “Awareness”, “Precision”, “Fearlessness” are all excellent intentions. When it begins to get hard (and it will), repeat this to yourself. Also, I like to visualize something that I connect with that calms me. 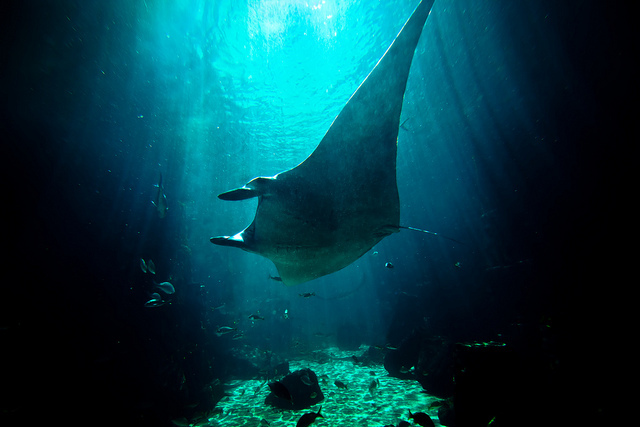 The giant manta ray that I would watch float towards me in the vastness of Atlantis’s aquarium in the Bahamas comes to mind when I am running and my breath gets ragged. I picture the calm beating wings to gather myself and then keep going.